My mom always made rice pudding whenever we had leftover rice. She used cream and cinnamon. 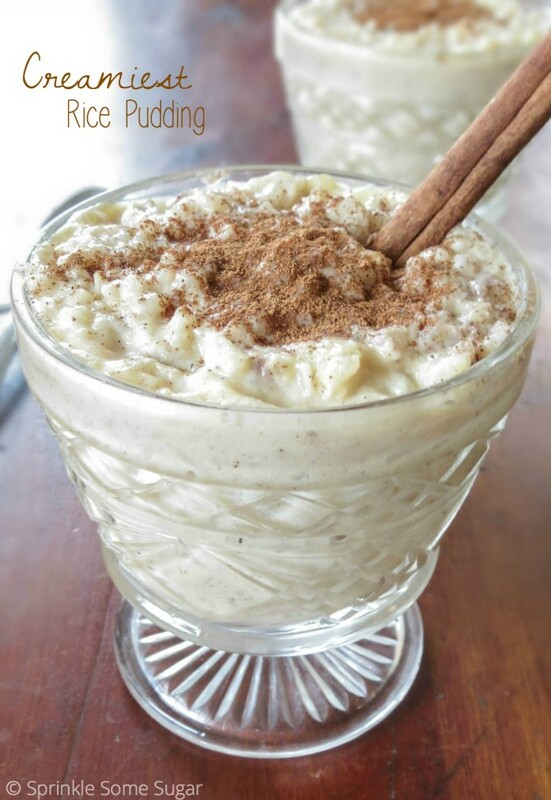 This is a recipe reminiscent of mom's delicious rice pudding. Add cooked rice, half and half, granulated sugar and salt in a medium saucepan; heat on low. Pour in half and half + 1/2 cup milk and simmer on low for 20 minutes, stirring every few minutes until thick and creamy. It may look like it's too much milk and it will never thicken, but it will you just have to wait. Once thickened, Mix in brown sugar. Once thickened, Mix in brown sugar. In a small bowl add egg yolks. Spoon 3 spoonfuls of the pudding mixture in with the yolks and whisk rapidly to temper and prevent scrambling. Once yolks are warm, add into pudding mixture and add the remaining half cup of milk. Cook for 3-5 minutes more until thickened up again. Once thickened, remove from heat and add in butter, vanilla and cinnamon. Pudding can be served warm or cold. Store in airtight container for 3-4 days.